You are able to use these with any filtration system. iQuatics Aquarium Activated Airo Carbon Filter Media can be used for a variety of operations that require water filtration whether on your pond, freshwater or marine conditions. 1kg (1000g) Aquarium Activated Carbon - Ideal for larger filters, ponds or for keeping spares in stock. Aquarium activated carbon is the perfect filter media for the removal of large organic molecules, chlorine pollutants, toxins and other chemical elements that are not removed by the use of a protein skimmer or other types of filtration. iQuatics® Airo-Carbon has been designed and manufactured to the highest possible specifications; its high activity pelletised granular shape has a greater surface area that allows maximum flow and a high contact time, it also makes it great to use in almost all activated carbon filters and reactors. Due to its sophisticated production process; its low ash content helps to keep the pH of the water stable. This is done by using selected grades of bituminous coal-based carbon which makes activated carbon the perfect water filter. Our bituminous carbon has the most transitional pores, varying in dimension rather than standard materials, which tend to have either small (micropores) or larger (macropores). 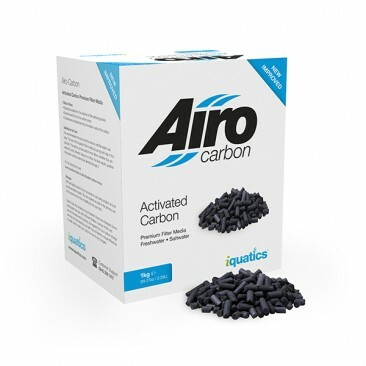 During testing iQuatics® Airo-Carbon outperformed other leading brands of carbon filer media making it one of the best activated carbons available to the aquarist. Let results of this filter media carbon speak for themselves! 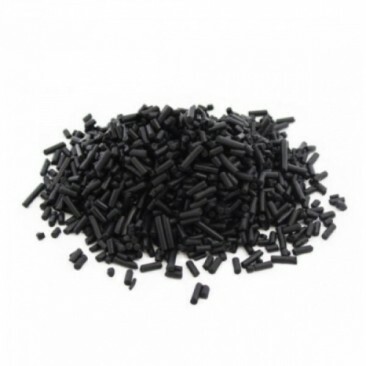 Check out our other aquarium activated carbon bulk bundles for even better value! I keep a very clean reef tank so I can never usually tell if carbon is "polishing" the water and removing nasties... This stuff noticeable works! My tank is open topped and often a slight oily residue builds up on the water surface that my surface skimmer can't quite catch. This carbon removed all the oily slick! Looking through the tank length ways (3 foot 1/4) and it's crystal clear. It takes little rinsing compared to other brands I've used. I will never stop using this stuff! It's great! In general: The deeper the Premium Activated carbon bed , the better it is. This is why iQuatics Premium Aquarium Activated Carbon come is 1kg bags. The best performance will be achieved , if you have a deep activated carbon bed and a slow flow of water.